Catch-a-Balls multi-sports classes are designed specifically for pre-schoolers delivering fun ball game-based activities that develop skills movement and ball-handling skills. The classes are split into three age groups. 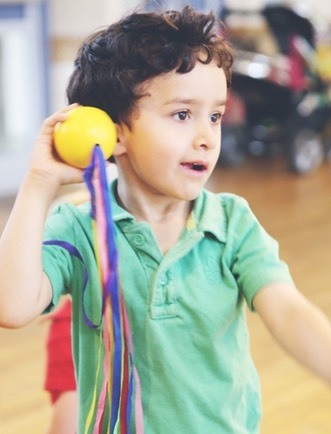 In the two younger groups parents and carers join in the fun whilst in the oldest age groups parents can sit on the side.�There are new games and props each term to ensure the children are kept interested and experience a wide range of sports (for example, cricket and boules). All classes are held indoors so kids stay warm and dry. Catch-a-Balls has been nominated in the What’s On for Junior awards every year since 2013. 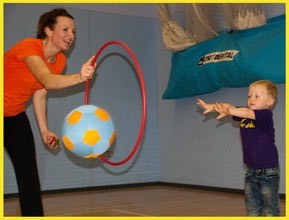 Club BOING - 18 months to 2� yrs, Club BOUNCE - 2� yrs to 3� yrs, Club CATCH - 3� yrs to school age. Catch-a-Balls is in Wimbledon every term-time Wednesday morning at the Holy Trinity South Wimbledon, 234 The Broadway, SW19 1SB. Join for a FREE trial session. Then for 13-week term it costs between �91 and �117 (10% sibling discount) which equates to �7 or �9 per class.